If you are interested in learning more about how to effectively care for different skin types and skin conditions, and how to perform skin related treatments and massages on your clients, our Level 2 Award in Facial Massage and Skin Care is an ideal course for you. The VTCT Level 2 Award in Facial Massage and Skin Care is a qualification which aims to teach you how to provide facial skin care. Whilst studying for the qualification, you’ll develop an understanding of health and safety practices, as well as a knowledge of how to consult with clients to ensure they get an effective treatment. 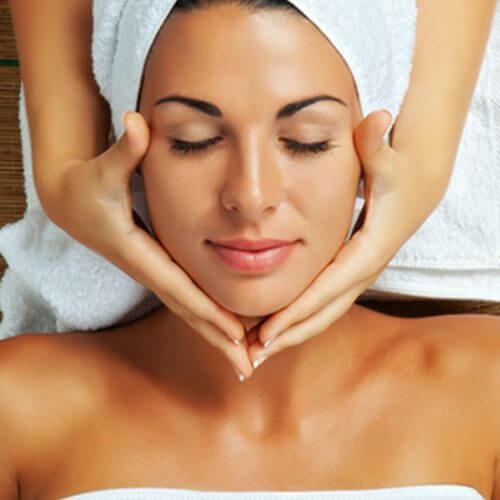 At the end of the course, you’ll be able to offer facial massage and skin care services to your clients professionally. The last unit is worth the most credits, as this is where you will begin to really hone your skills. The units are assessed by a mixture of question papers, observations and assignments. You’ll be asked to create a portfolio of evidence throughout the course to show to the assessor. If you complete an external paper, you’ll need to achieve a pass mark of 70%. You will learn how to effectively perform treatments on a variety of skin types including dry, oily and combination. You’ll also be able to understand how to treat skin conditions such as sensitive or dehydrated skin. You will be able to use a variety of equipment including a magnifying lamp and skin warming devices. When working as a therapist, you’ll need to use various facial products including cleansers, toners, moisturisers and specialised skin products. During the course, you’ll learn about the art of facial massage and how to work with cream and oil to provide an effective treatment. Lastly, you’ll be taught about advising the client on aftercare – avoiding certain activities and care routines at home. To book your place on the course, call us on 0151 548 7730. The course costs £595 + exam fee of £50 and consists of four full days. £200 deposit is required to secure your place. Refunds are not given unless you give a cancellation notice 7 days before the course is due to start. Can’t improve as everything was amazing! Fab Tutor!! Tutor is very knowledgeable, approachable and supportive, liked being in a small group too! Learning new techniques, skills and using new products.